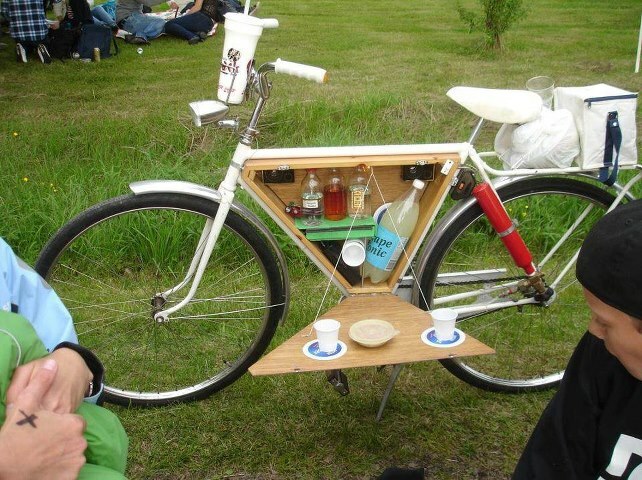 As spring and summer again approach the Northern Hemisphere, here’s a fun idea for a picnic, party and bike – all in one. Shared on Bike Bistro‘s page with credit to Fat City Cycles – but originally of Swedish design – this bike combines a picnic basket, stereo system, air pump and other gadgets into one bike. Perfect for the urban cruise to the nearest park to enjoy the summer sun, or a quick escape outside the city. I want one!